Superdry aren’t a brand I know an awful lot about, they first came to my attention courtesy of David Beckham sporting a certain leather jacket that seemed to cement their status as a super-brand (no pun intended). I paid them no more mind (though continued to think a little about Mr. Beckham) until last year, when they released a range of nail polishes before once again, slipping from my radar. It was only at the beginning of this football season that I was reminded of the brand when it seemed like 80% of the home crowd at St. Marys were sporting Superdry t-shirts of varying shades. Girls wouldn’t stand for that, we’d look at each other (all 30,000 of us) and be like… “err, awkward”. 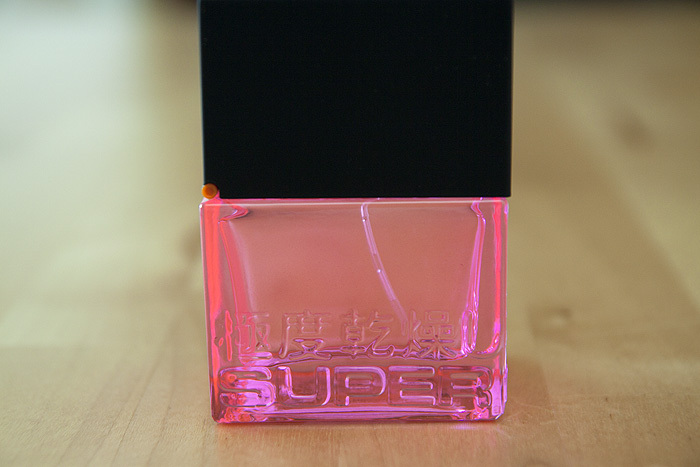 The Superdry brand have released a range of female fragrances under the NEON umbrella: Neon Purple, Neon Pink, Neon Orange and Neon Blue. 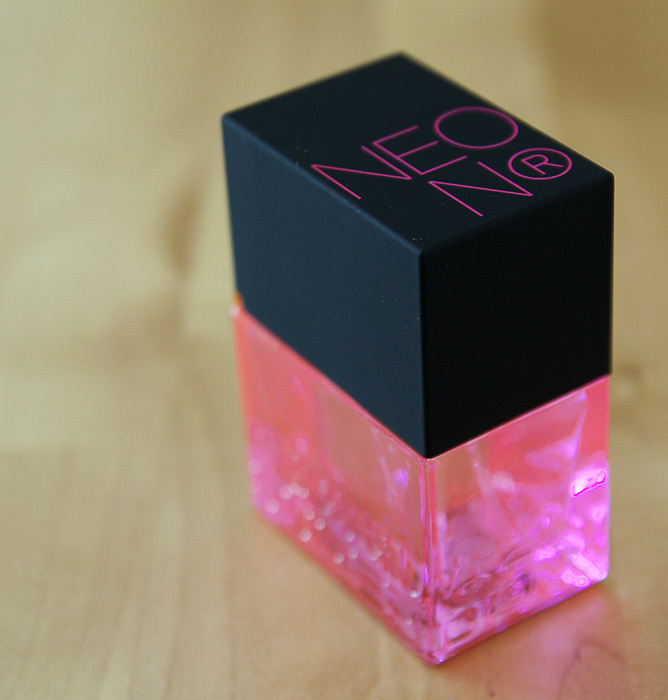 The Neon Pink is touted to combine amber, jasmine, vanilla, sandalwood and rose. I definitely get rose and a hit of sandalwood (which gives a bit of a masculine/clean blast) but not much else. It remains fairly sharp throughout the dry-down with just the very edges softened by a hint of vanilla the more it warms against my skin – I would like to have gotten more amber from this, considering it is, after all, described as an oriental amber. 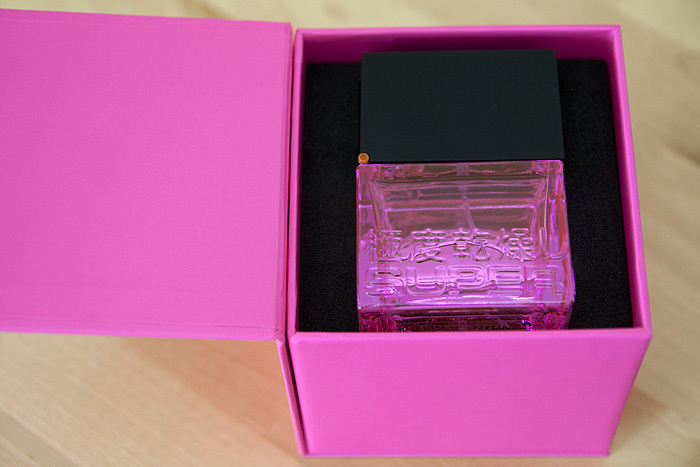 And now for the packaging, which… in my opinion, is where the brand has concentrated the majority of its efforts. 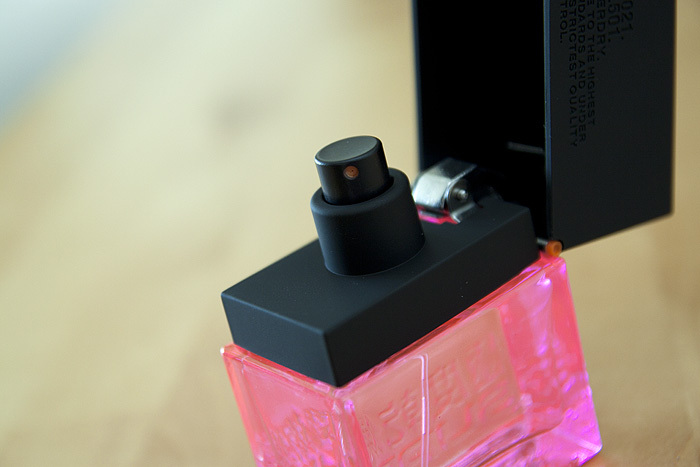 For girls everywhere who want their perfume to be mistaken for an oversized, camp, Zippo lighter. This one’s got your name all over it. Overall, I didn’t really enjoy the scent which feels jumbled and doesn’t do my skin chemistry any favours – the best way I can describe this one is as slightly confused and somewhat jarring. However, it definitely works well within the brand’s styling and will no doubt appeal to many Superdry customers out there – let’s face it, you can’t deny that it won’t catch your attention on the shelf! Aww, your photos made me hope it smelt unforgettable, it certainly does look the part. I think that’s pretty much what I expected from it, thanks for the heads up – I have a Superdry fangirl in the house and now know what she’ll be getting in her Christmas stocking this year!